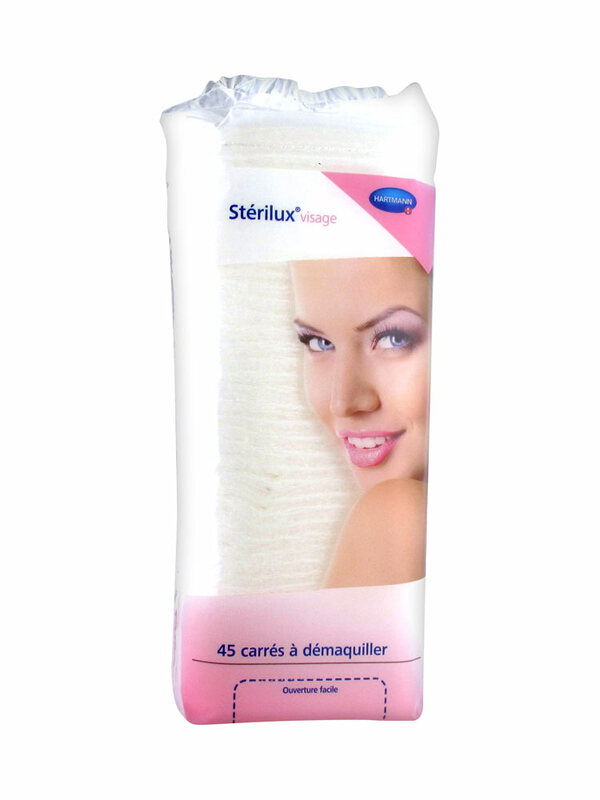 Hartmann Stérilux Face 45 Squares to Remove Make-Up are very soft cotton pads, tested under dermatological control, indicated for the hygiene of sensitive skins (face for make-up removal, or baby seat). Its big size allows to effectively cleanse the skin. Apply the lotion or care to the skin thanks to the cotton pad. 85% Coton, 15% Autres Fibres.